The TLC Pittsburgh Laser Eye Surgery Center is a leading LASIK provider with extensive experience using advanced state-of-the-art laser technology. During your free consultation, we will walk you through the LASIK process and share our expertise and experience with you. Feel free to ask us any questions you may have and let us show you how our excellent financing program can make this procedure a reality for you. The TLC Pittsburgh LASIK Center sets the Gold Standard for outstanding patient experiences and outcomes. Trust your eyes to TLC Laser Eye Centers. Our TLC Pittsburgh LASIK surgeons have performed thousands of laser eye surgery procedures and are regarded as some of the most experienced surgeons. Our trained staff are here to advise you on which LASIK laser vision correction procedure is appropriate for producing the best results based on your individual vision correction needs. Schedule a Free LASIK Consultation in Pittsburgh today! Dr. McElrath received her doctoral degree from the PA College of Optometry. She practices primary care optometry in New Castle and New Wilmington. 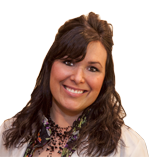 She has been working with TLC since 1998 and has conducted over 1000 pre- and post- operative exams. She offers flexible hours including Saturdays. Dr. Jeffrey Cianflone received his doctoral degree from the Illinois College of Optometry in 2000. He serves as the eye doctor to 171st Air Refueling Wing based out of Pittsburgh. He has been working with TLC since 2002 and has conducted over 200 pre- and post-operative exams. Dr. Solomon is a graduate of John Carroll University and the Pennsylvania College of Optometry. He joined Everett & Hurite in 2001. Dr. Solomon has been a co-managing partner with TLC and Dr. Arffa since 2008 and has recommended LASIK surgery to many patients. To all patients from pediatrics to seniors we welcome you to Clear Vision Family Eyecare where you will experience superior care in a friendly atmosphere. From contacts and glasses to LASIK and medical conditions such as cataracts and glaucoma. You will receive the personalized care you deserve. C. David Laughlin received his doctoral degree from Southern College of Optometry in Memphis, TN. He has been co-managing laser eye surgery patients with TLC since 1994 and has conducted over 400 pre- and post-operative exams. He recommends TLC and Dr. Arffa for anyone interested in LASIK. Dr. Campana graduated from the University of Pittsburgh and PA College of Optometry. He has a special interest in ocular disease and contact lens fitting. He is happy to be back in Western PA after having ocular disease rotations in Philadelphia and Connecticut and practicing in Tampa, Florida. Dr. Sherry Knotts graduated from The Ohio State University College of Optometry in 2001. She has been co-managing laser eye surgery patients with TLC since then and has conducted over 200 pre- and post-operative exams. Dr. Knotts had LASIK herself in 2003 and her vision is still 20/20. Dr. Falbo received his undergraduate degree from The University of Pittsburgh and his Doctor of Optometry degree from Pennsylvania College of Optometry. He has been co-managing laser eye surgery patients with TLC and Dr. Arffa since 1998 and has conducted over 700 pre- and post-operative exams. Dr. Alejandro Jose Molina, OD, FAAO received his Doctor of Optometry degree from the Pennsylvania College of Optometry in 2006. He completed primary care/Ocular disease residency from PCO in 2007 and is board certified by ABO. He has been co-managing LASIK patients with TLC since 2009. 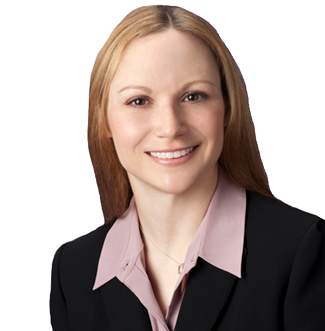 Dr. Pusz graduated from the Pennsylvania College of Optometry where she received her Doctorate of Optometry in 2005. Dr. Pusz has been a co-managing partner with TLC since 2010 and has recommended TLC and Dr. Arffa for her patients who are looking to have LASIK surgery.